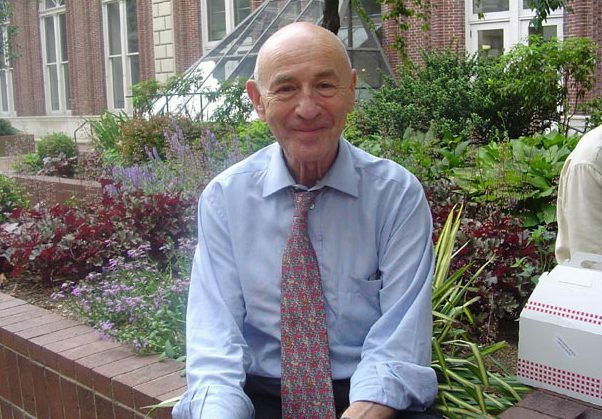 APS Past President Walter Mischel, whose landmark experiments examining children’s ability to delay gratification spawned a rich array of research on self-control and life outcomes, has passed away. In addition to his historic contributions to the scientific understanding of self-regulation and the fluidity of personality traits, Mischel was a major advocate for the advancement of integrative research and international collaboration. Mischel’s contributions to the study of personality are vast, but he is widely known for the “marshmallow test” — the name tied to the experiments he designed to measure young children’s willpower. In those tests, conducted at Stanford University in the 1960s, preschool children sat alone in a room with a single marshmallow placed on the table in front of them. They were told that if they could resist the temptation to eat the marshmallow (or cookie, pretzel, or other candy in subsequent versions) for a certain amount of time, they would receive two instead of one. Only a minority of the more than 600 children who participated in the experiment ate the treat immediately, and a third waited long enough to get a second helping. Those experiments served as the foundation for a larger course of study investigating links between childhood self-control and later achievement and well-being. 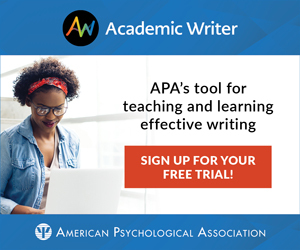 In follow-up research with a subset of the children from the Stanford experiments, Mischel and his collaborators, APS Fellow Yuichi Shoda and Philip Peake, found that those who had waited to receive two treats as children tended to have higher SAT scores as adolescents compared with those who hadn’t waited. Over the decades, research inspired by Mischel and others showed that higher self-control in childhood is correlated with higher educational achievement and lower rates of drug abuse, lower rates of divorce and marital separation, fewer legal violations, and even lower body-mass index numbers. A recent conceptual replication of the marshmallow test found something that Mischel had long predicted—that the relationship between children’s self-control and their long-term outcomes depends on environmental factors such as socioeconomic status. An APS William James Fellow, Mischel served as the association’s president in 2008–2009, sharing memorable insights on the status and future of psychological science through his Presidential Columns in the Observer. He called for psychological researchers to get over the “toothbrush problem,” the resistance to using other scientists’ theories. And he celebrated the emergence of a cumulative, integrative science that utilized fresh, sophisticated methods and incorporated techniques from neuroscience, genetics, and other areas of biology. “There is good reason to think that psychological science is now at the brink of what can become a golden age, opening new windows into the links and reciprocal interactions between psychological and biological phenomena and processes,” he wrote. This vision fueled the Initiative for Integrative Psychological Science, a collaboration of APS and Pan-European scientific groups that Mischel cochaired with APS Secretary Gün R. Semin (ISPA-Instituto Universitário, Portugal, and Utrecht University, the Netherlands). The initiative’s fundamental aim is to promote crossdisciplinary research covering the broadest cultural aspects of social science to the most molecular aspects of genetics. And it culminated in the launch of the International Convention of Psychological Science, a biennial event that began in 2015 in Amsterdam. For the second ICPS in 2017, Mischel returned to his birthplace of Vienna, Austria, which he left at age 8 after the Nazis occupied the city. There, he discussed his life and career before a live audience in an interview with APS Past President Mahzarin R. Banaji, part of APS’s Inside the Psychologist’s Studio video series. That interview is one of the most widely viewed in the series, which features conversations with some of the world’s most influential psychological scientists. Mischel was the Robert Johnston Niven Professor of Human Letters in the psychology department at Columbia University, which he joined in 1983 following faculty positions at Harvard and Stanford Universities. He was elected to the National Academy of Sciences in 2004, and received the University of Louisville Grawemeyer Award in Psychology in 2011. In 2015, he, Shoda, and Peake received the Golden Goose Award, an honor given annually to highlight US-government-backed studies that have led to major scientific discoveries and benefits to society. The scientists were recognized for their work illuminating the lifelong benefits of self-regulation, and how it varies as a function of seemingly simple variations in the social environment. The Observer will feature a remembrance of Mischel in an upcoming issue.